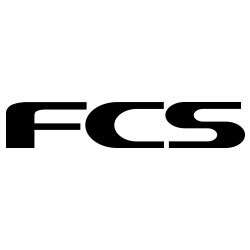 For steep faces and fast lines, the FCS II FW PC Carbon Tri-Quad Fin Set knows how to plow ahead under careening lips with confidence. 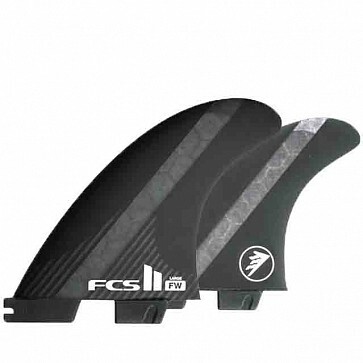 By pairing deep sitting side fins with a smaller center fin, this refined Firewire template can produces exceptional drive with just the right amount of tail release. Designed in collaboration with legendary shaper Nev Hyman, the FW PC Fins have a stabilizing influence on your board, without restricting movement or feeling stiff and tight. 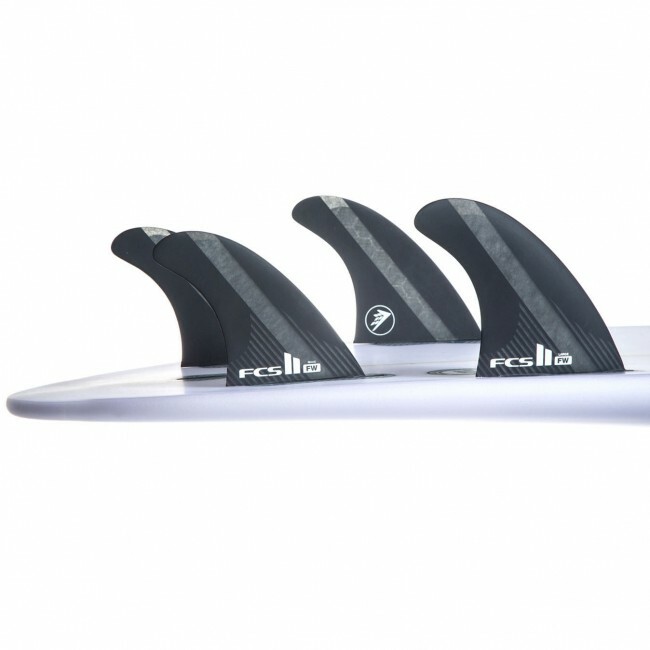 Larger side fins provide reliable speed down the face and incredible hold when driving off the bottom, while the smaller center fin provides a loose and free feeling off the top. Notably, it’s quite easy to break the turning arc at higher speeds and pivot tightly in the pocket with just the right amount of control. Switch to the quad set for smooth, controlled turns with a fast and sturdy feel on the open face. The balance between drive, hold and tail release is perfectly dialed for boards with a lower tail rocker such as the Sci-Fi by Tomo, or larger hybrid boards when used as a quad. Hold nicely though turns, drive hard down the face and pivot smoothly into the next section on the FW PC Carbon Tri-Quad Fin Set.